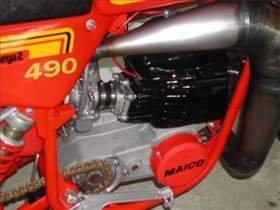 "Here are some pics of my two 1981-490 Maicos. 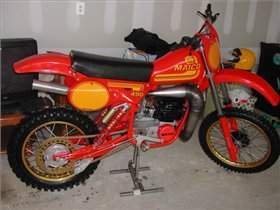 One is a 10-hour-old unrestored bike that I owned three times. 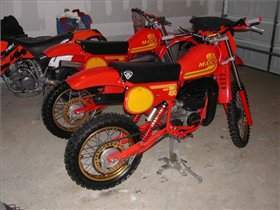 The other was restored using all N.O.S. parts and a very rare reed-valve cylinder. 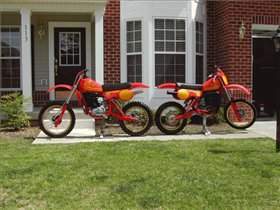 Both bikes have M. Roberts original plastic."